Beloved, let me encourage you to have a healthy spiritual diet and to daily “eat” His Word as if your very (spiritual) life depended on it, because it does! (Mt 4:4, Job 23:12–note, Jer 15:16–note, Ps 119:109–note, etc). With the best of results. How sweet are Thy words to my taste, sweeter than honey to my mouth (Psalm 119:103, cp Ps 19:10)! Yea, sweeter than honey to my mouth. When he did not only eat but also speak the Word (Ed: Which is one of the advantages of memorizing it! ), by instructing others, he felt an increased delight in it. The sweetest of all temporal things fall short of the infinite deliciousness of the eternal word. When the psalmist fed on it he found it sweet; but when he bore witness of it, it became sweeter still. How wise it will be on our part to keep the word on our palate (Ed: How better than by treasuring it in our heart! cp Mt 12:34, Lk 6:45) by meditation and on our tongue by confession. It must be sweet to our taste when we think of it, or it will not be Sweet to our mouth when we talk of it. Spurgeon Comments: More to be desired are they than fine gold, yea, than much fine gold. Bible truth is enriching to the soul in the highest degree; the metaphor is one which gathers force as it is brought out; — gold — fine gold — much fine gold; it is good, better, best, and therefore it is not only to be desired with a miser’s avidity, but with more than that. As spiritual treasure is more noble than mere material wealth, so should it be desired and sought after with greater eagerness. Men speak of solid gold, but what is so solid as solid truth? For love of gold pleasure is forsworn, ease renounced, and life endangered; shall we not be ready to do as much for love of truth? Sweeter also than honey and the honeycomb. Trapp says, “Old people are all for profit, the young for pleasure; here’s gold for the one, yea, the finest gold in great quantity; here’s honey for the other, yea, live honey dropping from the comb.” The pleasures arising from a right understanding of the divine testimonies are of the most delightful order; earthly enjoyments are utterly contemptible, if compared with them. The sweetest joys, yea, the sweetest of the sweetest falls to his portion who has God’s truth to be his heritage….The inexpressible delights of meditation on Scripture. Isaac Watts – Without memory the soul of man would be a poor, destitute, naked being, with an everlasting blank spread over it, except the fleeting ideas of the present moment. Now what is a diamond? Suppose it is one worth two hundred thousand pounds — and some of those I have mentioned are said to be worth more than that — yet it is nothing but a little solidified gas. This diamond may fitly represent the whole world, with all its pomp’s, and vanities, and pleasures, and glories. Puff! it’s gone into thin air; death turns; it all to gas. Set your affections on those things which time cannot destroy, which eternity cannot impair. There is a very beautiful story connected with the “Sancy” or “De Sancy” diamond, which is said to be worth about eighty thousand pounds. It is a comparatively small stone; and if I were stupid enough to wear such ornaments, I could wear it on my finger, if set in a ring. This stone was sent on one occasion by the Baron de Sancy, to whom it belonged, to his king, who was in ‘want of cash, and had proposed getting a loan of 40,000 pounds. The diamond was to be the security; in fact, to put it plainly, it was “to be left at the pawnbroker’s.” The Baron gave the stone to a trusty servant to take to the king. The servant disappeared, and people suspected that he had gone off with the diamond; but his master declared that he knew his servant too well to believe such a thing possible. After some time the servant’s body was found, a little way from the road: he had been murdered and robbed. The Baron commanded that his clothes should be carefully searched for the missing diamond; but it could not be. found. He then ordered that he should be cut open, and the diamond was found in his body. He had swallowed the gem, which he had been unable in any other way to conceal from the robbers. “for the purpose of godliness” which “is profitable for all things, since it holds promise for the present life and also for the life to come. (1Ti 4:7, 8–notes). Here’s the question — Do you see any relationship between Job 23:10–note and Job 23:12–note? Specifically, do these verses suggest some insight into how Job was able to persevere (“You have heard of the “endurance of Job” James 5:11) in the face of incredible sufferings and afflictions? I think you see the point — the value of Scripture memorization in surviving in a cannot be overemphasized! I hear so many serious believers say “I ought to begin memorizing Scripture” only to find out weeks or months later they never followed through. Let me encourage you. Today is the best day in your life to begin the adventure of “eating” God’s Word in Scripture memorization. You will never regret your decision to launch out into the “great adventure” that lays ahead. For additional motivation, read through some of the articles in the next section and then in the following section consider one of the established programs to begin your journey. If you would rather not use a computerized program, I would recommend the Navigator’s Topical Memory System – TMS (see also Scripture Memory Secrets) because it won’t overwhelm you and yet is still solid food which if you practice it, will train (gumnazo) your senses…to discern (diakrisis) good and evil. (He 5:14–note). 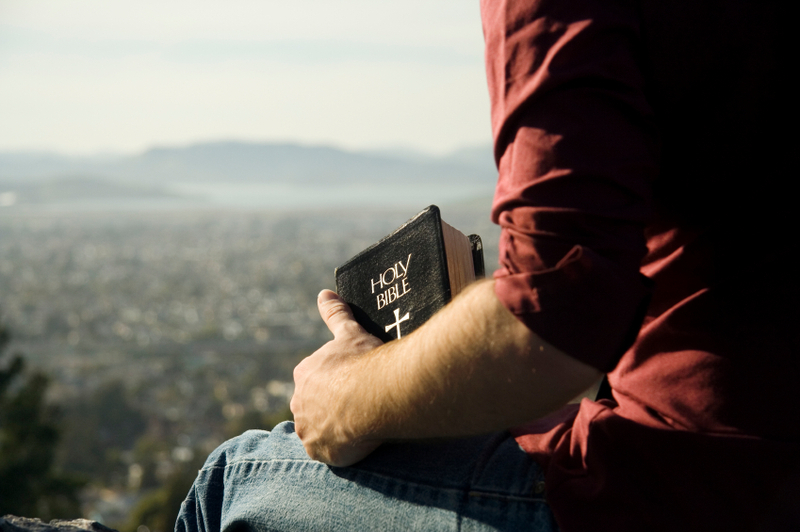 The Bible is the language of heaven, and will not pass away (Mt 24:35), so let us enter into this spiritual discipline with delight, great joy and a sense of expectation, not out of a sense of guilt, legalism or onerous duty. We are not our own but are children and “bond-servants (doulos) of the Most High God” (In the OT the Name is El Elyon – Sovereign Over All) (Acts 16:17), who should be motivated by the love of Christ (2Cor 5:14) to have as our earnest “ambition, whether at home or absent, to be pleasing to Him” (2Cor 5:9) As with any “spiritual discipline” there is always the subtle danger of becoming pharisaical or prideful and we are ever in danger of failing prey to a subtle form of legalism. The point of reciting these Scriptures is to motivate you by way of example to memorize Scripture in 2009. This message is a mingling of my testimony of the value of memorizing Scripture with Jesus’ testimony in the Gospel of John. Dr. Howard Hendricks has made the statement (and I paraphrase) that if it were his decision, every student graduating from Dallas Theological Seminary would be required to learn 1000 verses word perfect before they received their degree. May his tribe increase! But (Jesus introduces a dramatic contrast) the seed in the good soil, these are the ones who have heard the word in an honest (kalos) and good (agathos) heart (kardia), and hold it fast, and bearfruit (karpophoreo in the present tense = they have the blessing of being continually “spiritually fertile and fruitful” bearing fruit that will last throughout eternity – Jn 15:16NIV, Jn 15:5, 8) – Do miss this “once in a lifetime offer too good to refuse”! You only go around once! cp James 4:14, Jas 1:10, 11–note, 1Pe 1:24–note, Job 7:7, Ps 103:15–note) with perseverance (hupomone). (Lk 8:15). So brothers and sisters let us persevere with great delight in this discipline of Scriptural memorization for one day we will discover the glorious truth that this was one of the most fruitful investments of our time that we could have ever made in this life. AND WILL PAY DIVIDENDS FOR ETERNITY! In my own practice of memorizing God’s Word, I have found that one of the most critical aspects (other than a constant dependence on prayer that God might graciously grant me a heart hunger to eat His Word) is frequent and systematic review of verses. I use a “multi-pronged attack” including: Typing or writing out scripture on small cards that I keep in my pocket for those times I’m stuck in elevators, long winded meetings or long lines at the super market. I also dictate the current verses I am focusing on into a mini recorder (Ipods work too) which is great for redeeming those times I get caught in traffic jams on the freeway and allows you to have several cassettes of your “favorite” verses. Most of these recording devices allow easy playback so that you can keep your eye on the road while driving. I also keep a small pocket sized Bible close at hand (car, briefcase, etc) to allow quick review of verses in context and I highlight those verses I have already memorized. As someone has well said sin will keep you from the Bible or the Bible will keep you from sin. Bibles that are “falling apart” usually belong to people who are not. IS THERE WHEN YOU NEED IT! One note of caution – Be careful when memorizing single verses that you do not “wrench” them out of their context, lest you give the passage a meaning (and an interpretation) God never intended. Always examine the context surrounding the verse you are memorizing or even better memorize larger sections of Scripture, including chapters or even entire books. I am convinced that one of the greatest things we can do is to memorize Scripture. When was the last time you memorized a passage of Scripture? God’s Word has a cleansing effect. You must (no excuses please – I include myself here!) get into the Word so that it can get into you and can then become effective in your life, as the Spirit uses it (“the washing with water through the word” – Ep 5:26–note) to renew your mind and transform your thinking (Ro 12:2–note) so that you are enabled more and more to discern the will of God (Eph 4:14–note; He 5:14–note). The Word daily imbibed and diligently obeyed is one of the best protectors and preventatives against the polluting power of this present evil age (Gal 1:4), an age which is in the process of passing away as are even it’s evil desires (1Jn 2:17–note). A few suggestions will be helpful here. 1. Memorize the location of the verse together with the verse. You will find it just as easy to say, “John 1:29, Behold the Lamb of God, which taketh away the sin of the world,” as you would if you merely said, “Behold the Lamb of God,” etc., omitting to state the reference. 2. Learn it. Don’t get a faint, indefinite idea. If you want to remember any text in after years, let it make a deep, clear and vivid impression on your mind the moment you learn it. 3. Read the verse over, say twenty times; close your Bible and see if you can repeat it correctly, then to be sure, read it again. Once writing the verse is worth a dozen repetitions of it by mouth. 4. Review. This is the secret of memorizing. Review every day, every week, every mouth, and every year. 5. Practice. Use the passages of Scripture. Seek occasions for talking to persons who have difficulties. I have it third hand, that Dr. Howard Hendricks of Dallas Seminary once made the statement (and I paraphrase) that if it were his decision, every student graduating from Dallas Theological Seminary would be required to learn one thousand verses word perfect before they graduated. I know of no other single practice in the Christian life more rewarding, practically speaking, than memorizing Scripture. . . . No other single exercise pays greater spiritual dividends! Your prayer life will be strengthened. Your witnessing will be sharper and much more effective. Your attitudes and outlook will begin to change. Your mind will become alert and observant. Your confidence and assurance will be enhanced. Your faith will be solidified” (Growing Strong in the Seasons of Life [Grand Rapids: Zondervan, 1994], p. 61). One of the reasons Martin Luther came to his great discovery in the Bible of justification by faith alone was that in his early years in the Augustinian monastery he was influenced to love Scripture by Johann Staupitz. Luther devoured the Bible in a day when people earned doctorates in theology without even reading the Bible. Luther said that his fellow professor, Andreas Karlstadt, did not even own a Bible when he earned his doctor of theology degree, nor did he until many years later (Bucher, Richard. “Martin Luther’s Love for the Bible”). Luther knew so much of the Bible from memory that when the Lord opened his eyes to see the truth of justification in Ro 1:17–note, he said, “Thereupon I ran through the Scriptures from memory,” in order to confirm what he had found. If we would be changed into Christ likeness we must steadily see him. This happens in the word. The Lord revealed himself to Samuel at Shiloh by the word of the Lord” (1Sa 3:21). Bible memorization has the effect of making our gaze on Jesus steadier and clearer. How can a young man keep his way pure? By guarding it according to your word. . . . I have stored up your word in my heart, that I might not sin against you (Psalm 119:9–note, Ps 119:11–note). by the Spirit . . . put to death the [sinful] deeds of the body” (Ro 8:13–note). The one piece of armor used to kill is the “sword of the Spirit” which is the word of God (Ep 6:17–note). As sin lures the body into sinful action, we call to mind a Christ-revealing word of Scripture and slay the temptation with the superior worth and beauty of Christ over what sin offers. There is more to Christian growth than knowing what the Bible says; nobody is ever nourished by memorizing menus. When Jesus was tempted by Satan in the wilderness he recited Scripture from memory and put Satan to flight (Mt 4:1-11). The times when people need you to give them comfort and counsel do not always coincide with the times you have your Bible handy. Not only that, the very word of God spoken spontaneously from your heart has unusual power. Pr 25:11 says, “A word fitly spoken is like apples of gold in a setting of silver.” That is a beautiful way of saying, When the heart full of God’s love can draw on the mind full of God’s word, timely blessings flow from the mouth. Opportunities to share the gospel come when we do not have the Bible in hand. Actual verses of the Bible have their own penetrating power. And when they come from our heart, as well as from the Book, the witness is given that they are precious enough to learn. We should all be able to sum up the gospel under four main headings (1) God’s holiness/law/glory; (2) man’s sin/rebellion/disobedience; (3) Christ’s death for sinners; (4) the free gift of life by faith. Learn a verse or two relating to each of these, and be ready in season and out of season to share them. That is not a natural expression for many people. But if we memorize this and other emotional expressions from the Bible, and say them often, asking the Lord to make the emotion real in our hearts, we can actually grow into that emotion and expression. It will become part of who we are. We will be less emotionally crippled and more able to render proper praise and thanks to God. Listen to John Piper discuss his approach to memorizing Scripture. Two of the keys? Pray for discipline and set aside time. How do you memorize Scripture? In the days of the apostles, the believers relied on memory for the singing of psalms and hymns in their worship services. They learned by heart numerous messianic passages from the Old Testament and retained the message of the gospel they had heard from the apostles. They were forced to develop their retentive memories because they had only limited access to the written books of Scripture kept in local churches. In our day we have become accustomed to relying on the written word and therefore fail to exercise our memories. We claim that as long as we are able to refer to something in print, we have no need to memorize it. Our minds, then, are like erasable boards; we retain facts for immediate use but soon replace them with new information. This mind-set also prevails when we worship God on the Lord’s day. Routinely we enter the sanctuary each Sunday morning to hear the pastor preach, yet our minds will retain his message for only a few days. As statistics show, during a given Sunday we retain only 30 percent of the sermon the pastor preaches that day. This percentage dwindles to less than 5 percent by the last day of that same week. The real reason is that we choose not to. Romans 8:28 – “And we know that God causes all things to work together for good to those who love God, to those who are called according to His purpose.” The common understanding – God works everything out for our good. The correct understanding -God works all things together for good as long as the condition is met: We must love God and be called according to His purpose. This certainly does not apply to everyone. Loving God and being called according to His purpose are two sides of the same coin. If this is true for us then this promise applies to us. Rick Warren answers the question – Why Should You Memorize Scripture? This entry was posted in Bible Teachings, Inspirational Messages and tagged bible, growth, Holy Spirit, Jesus, mediation, memorize, mind, Scripture, spiritual, thoughts, verses, word of God. Bookmark the permalink. Thank you so much for this post. It’s very well done. Always great stuff from you and that’s why I followed!